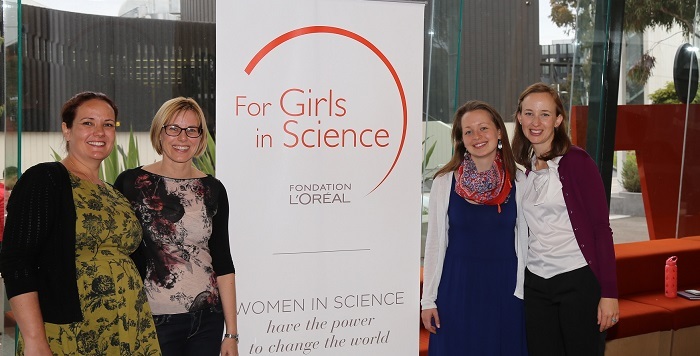 Each year following the L'Oréal-UNESCO For Women in Science Australia & New Zealand Ceremony, the Fellows share their stories with female students through our Girls in Science program. Students have an opportunity to hear from the Fellows including their scientific interests and the discoveries they have made. The forum also allows the students to ask the Fellows questions or for advice about pursuing a career in science. The girls were interested in how the Fellows decided what research questions to investigate and how to go about designing an experiment. They were also interested to know what subjects the Fellows studied in high school. The Fellows encouraged the girls to study science in school, for all of the fantastic opportunities it provides for individuals who have a passion and curiosity for the way the world works. This was the first year we opened up this forum to schools that were unable to attend on the day in-person, and could instead tune in via an online hook-up and submit their questions using Twitter and the hashtag #girlsinscience2016. The next day the Fellows travelled to UNSW in Sydney. With over 250 students from schools within Sydney and surrounding areas, the day was jam-packed with information and activities. We were very pleased to have Professor Micelle Simmons open the forum with an introduction to her own world-class research. Professor Simmons was recently awarded the 2017 L'Oréal-UNESCO Asia-Pacific Laureate for her research, developing the next generation quantum computer. For more details click here. 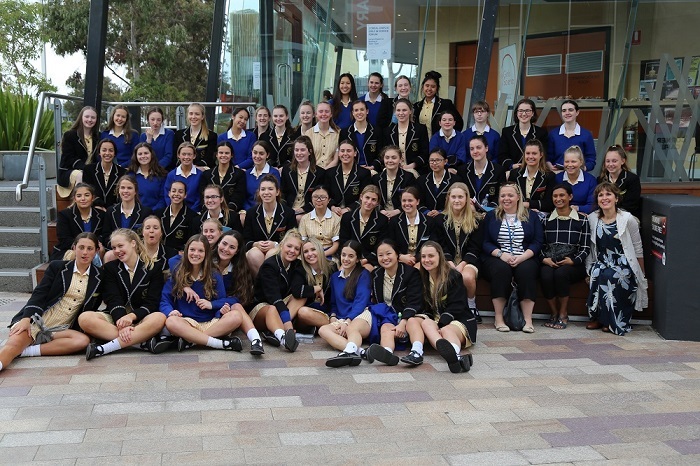 Following the forum the Sydney-based school girls attended science-based activities, in which they got the opportunity to tour through working laboratories with hands-on experience to see what it would be like to be a working scientist.